Renault has confirmed its fourth-generation Mégane will cost from 16,600 on-the-road. 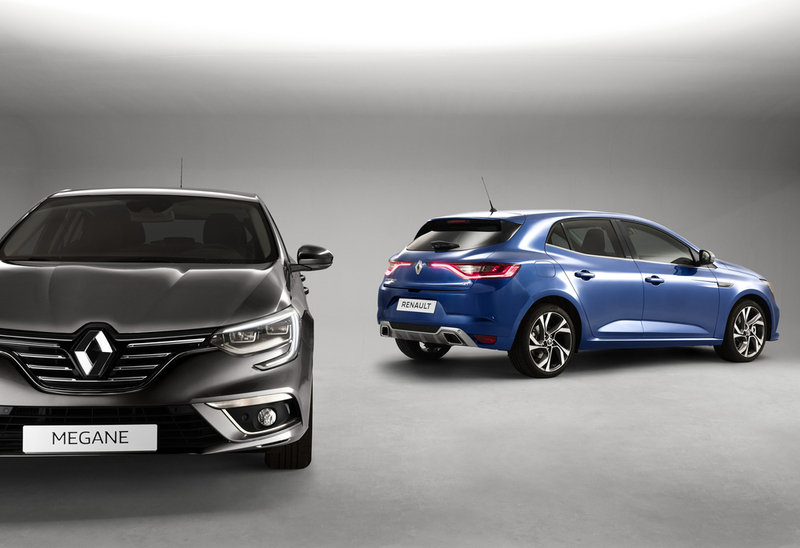 Available to order now, the new Mégane is set for UK showrooms this July. 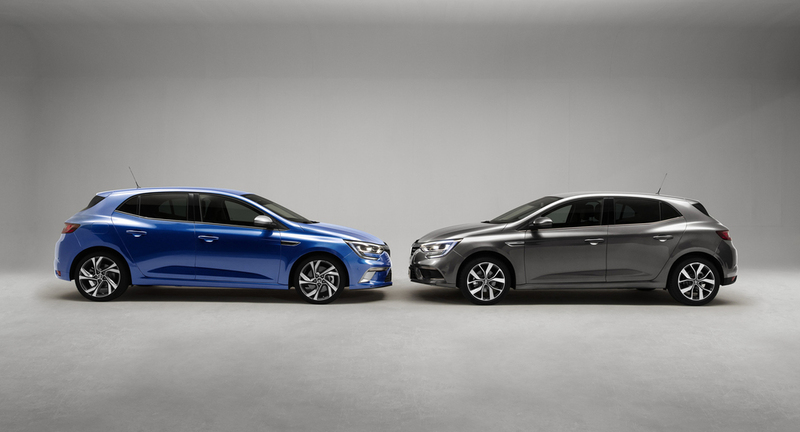 Unveiled at the 2015 Frankfurt Motor Show, the all-New Mégane hatchback has ‘features and technologies from the executive segment above’ says the French brand, bringing them into the family car C-segment for the first time. The Mégane is being offered in a 25-version line-up based on six familiar trim levels – Expression+, Dynamique Nav, Dynamique S Nav, Signature Nav, GT-Line Nav and GT Nav. The £16,600 is for the entry-level Expression+ TCe 130, while the Dynamique Nav TCe 130 trim level starts at £18,100 OTR. The Signature Nav TCe 130 range starts at £20,600 OTR and the GT Line Nav TCe 130 starts at £19,600 OTR up to £25,500 OTR for the range-topping GT Nav 205 Auto EDC. Renault describes the Mégane’s technologies as unique-in-class, with 4Control four-wheel-steering and 8.7-inch portrait touchscreen infotainment system. Two dCi and two TCe petrol engines with manual and Efficient Dual Clutch (EDC) six-speed gearbox transmissions are available with CO2 emissions from 96g/km and fuel economy of up to 76.4mpg. 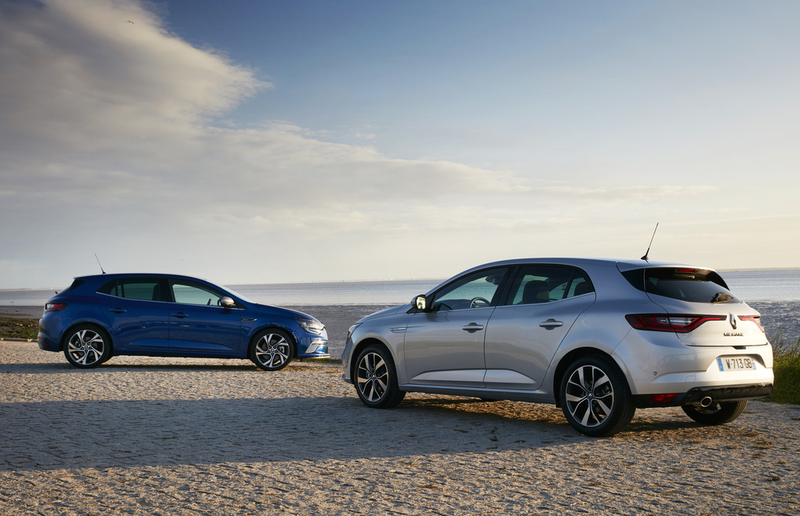 Renault also confirmed a Sport Tourer model will follow later in 2016 as well as a Hybrid Assist and dCi 165 models in 2017.